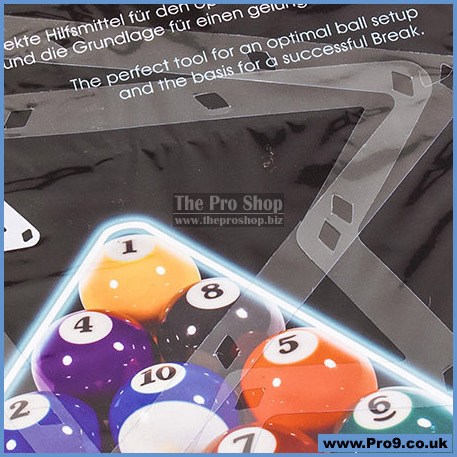 This innovative setup tool in the form of a punched stencil ensures a gapless grouping of the billiard balls. 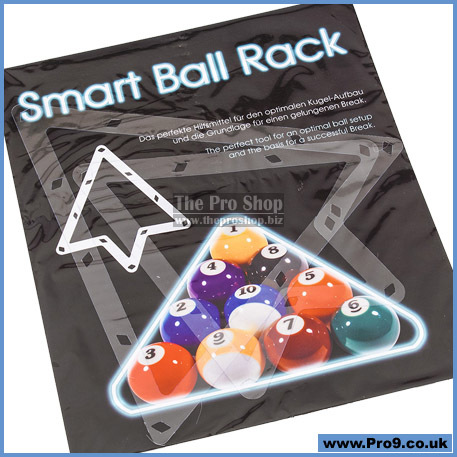 The Smart Ball Rack is easy to handle and eliminates problems caused by a poor setup without affecting the natural run of the balls. 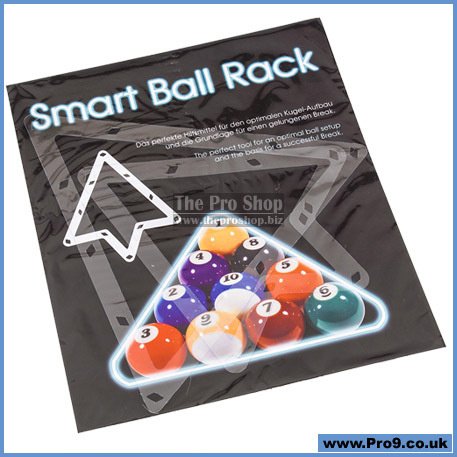 Suitable for 8-, 9-, and 10-ball billiard games, with 57.2 mm balls.